Lewis Hamilton's decision to leave McLaren is a "mistake", according to their team principal Martin Whitmarsh. Hamilton has signed a three-year deal with Mercedes to replace Michael Schumacher from next season. "For anyone leaving McLaren, and [Hamilton] wants to win, I think that's a mistake because I have faith and belief in this team," said Whitmarsh. "Whether you measure it over the last four races, four years or 40 years, we're a fantastic team." 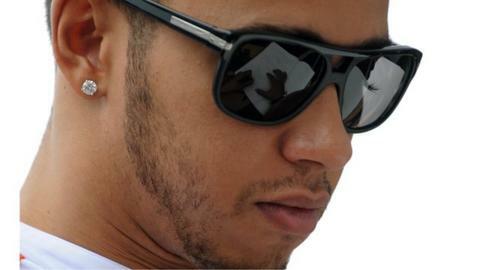 "This will have been a very big decision for Lewis. However, there were some things niggling away and some little demons getting into his head." He added: "So I would say to any driver who wanted to win in this sport 'come and join McLaren and aspire to join McLaren'. "I wouldn't advise anyone to leave McLaren if they want to win, but I've got to respect Lewis's decision and really wish him well." Hamilton's decision to join Mercedes was announced on Friday and Whitmarsh believes the team, based in Woking, Surrey, could not have offered better financial or competitive incentives for the 27-year-old Briton to stay. "I know we made a very big financial offer, bigger than I believe any Formula 1 driver is enjoying today, other than himself," said Whitmarsh, who acknowledges Mercedes as a "great" team. "We were working towards him staying, but we realistically knew there was always a chance he wouldn't. "He rang me two days ago, from Asia, and I believe I was the first person he told. We had a long conversation, a warm conversation. "He rang me again yesterday and we had another long conversation. In the end, for all parties, you need to make a decision and move on. "So we had to look at other options." Hamilton's departure has prompted McLaren to sign Sauber driver Sergio Perez as his replacement. The future for seven-time world champion Schumacher looks uncertain, with the German, 43, saying he is undecided whether to retire following his release by Mercedes. However, some reports have claimed he has already held talks with Sauber about replacing 22-year-old Perez.